One of the first “craft” beers I had that was memorable was Widmer’s Hefeweizen. The pale yellow cloudy appearance was something I had never had in a beer. Since then the style has always been one of my favorites for Summer and I try to drink as many as I can find each year. 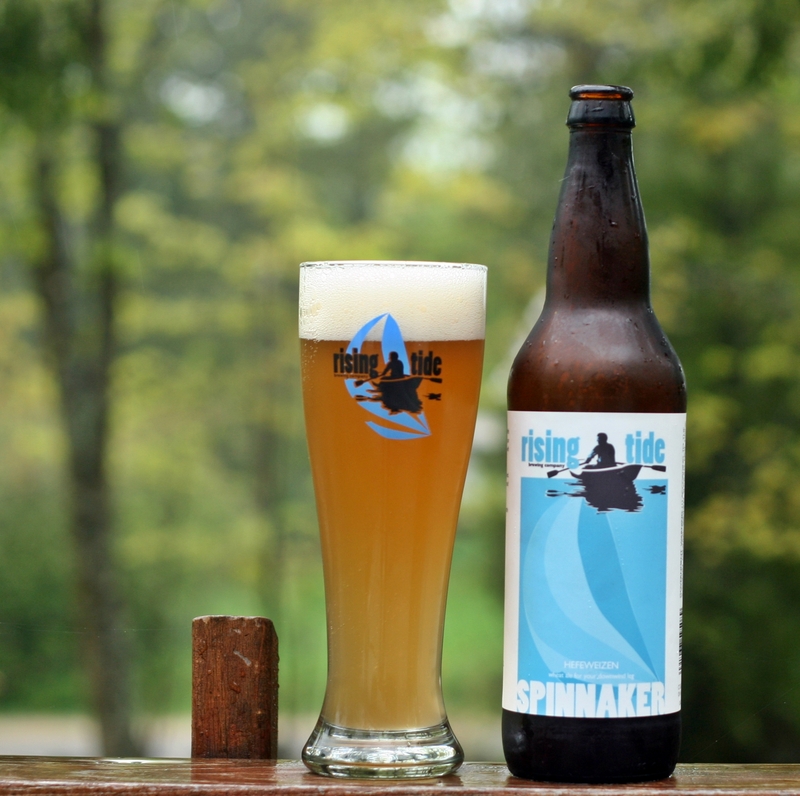 When Rising Tide released a hefeweizen I knew it would be good. Appearance is a cloudy pale orange color with a thick off white head. Exactly what a hefeweizen should look like. Aroma has some bread, banana and clove spicyness. Overall a very pleasing beer. Taste is very refreshing and crisp with plenty of banana in the finish. There is a lot going on in this beer but it is all very pleasant. With a low ABV of 4.5% this is the perfect warm weather beer. If you like hefeweizens or if you have never tried one get out and by some bottles of this beer, you will not be disappointed. 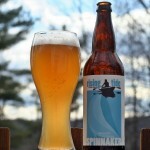 Brewers Description: Spinnaker is the perfect companion to a lazy summer day. Witha nod to the traditional hazy wheat beers of Germany, our hefeweizen balances sweet yeast esters and spicy phenolics with a refreshing bready body. Prost!